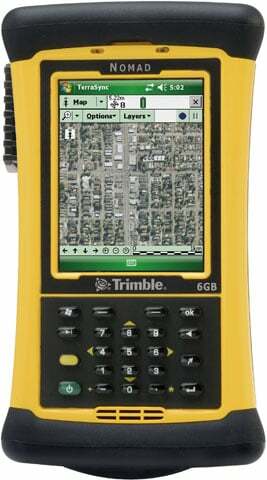 Trimble Nomad - Rugged HAndheld Computer, Numeric Keypad, 806 MHz Processor, 128 MB RAM/512 MB Flash Memory, 5200 mAh Lithium-ion Battery, Green, Win Mobile 61, Bluetooth, CF And SD PORTS, Serial, Minimum Order Quantity: 25. Interface Cables And Charging Cradle Sold Separately. The Trimble NMDAAM-121-00 is also known as NMDAAM-121-00	or NMDAAM12100	.